العلاقات الخارجية > News > Details Within E+ program, IUG participates in the International Training Week at USC. Within E+ program, IUG participates in the International Training Week at USC. Aiming at promoting its position and adding an international dimension to the university, IUG, represented by Dr. Abdel Nasser Abdel Hadi, a faculty member in the Department of Computer Engineering, participated in the training week for the international mobility and internationalization of universities, which was held at the University of Santiago de Compostela in Spain and funded by the European Union through the international credit mobility programs by Erasmus Plus. The international training week for the staff of the partner universities is part of the international mobility program of Erasmus Plus. Basically, it aims to enhance communicating and networking among more than 30 participating universities, as well as to exchanging experiences and methodologies that lead to improve the management of the mobility projects among the participating universities. 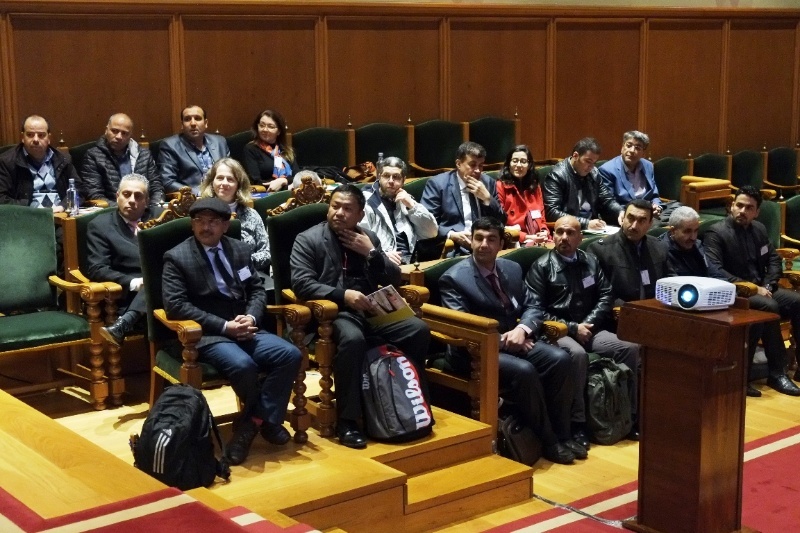 The International Week was attended by representatives of different universities from several countries including Algeria, Lebanon, Jordan, Egypt, Morocco, Tunisia, Palestine, Iran, India and Afghanistan. 1. Promote academic cooperation and exchange among the participating universities and increase partnerships. 2. Promote the mobility of both students and teachers to and from the partner countries in the program. 3. Facilitate the procedures of applying and enrolling in various programs for students, teachers, and administrators. 4. Provide them with language courses of the host country via Internet. 5. Facilitate admission requirements and equivalence of courses for students. Moreover, the representative of IUG reminded the audience of the difficulties that the people of the Gaza Strip and universities face in their mobility and travel. This may hinder and reduce the opportunities of exchange and deprive the Gazan students and professors from their right of communicating with the outside world. He also pointed out to the importance of having a constant communication between the participating universities and the Gazan universities, their staff, and students. Furthermore, taking into account both of the travel circumstances procedures and the necessity of increasing the time period required to apply and join the different academic mobility programs are asserted. The activity included field visits to the University's various branches and colleges in the Spanish cities of Santiago and Lugo. Moreover, tours were organized to familiarize the participants with Santiago city and its cultural and historical landmarks. In addition, Dr. Abed Al-Nasser expressed his happiness to be a representative of the university in this international week. He also thanked it for providing its staff with such opportunities, which improve the professional competencies, increase the participants' chances of functional and self-development in addition to transfer and exchange the experiences, cultures, and best methods.